The name schooner has its origin in North America in 1713, but the developed schooner rig had migrated with the Dutch and English colonists. 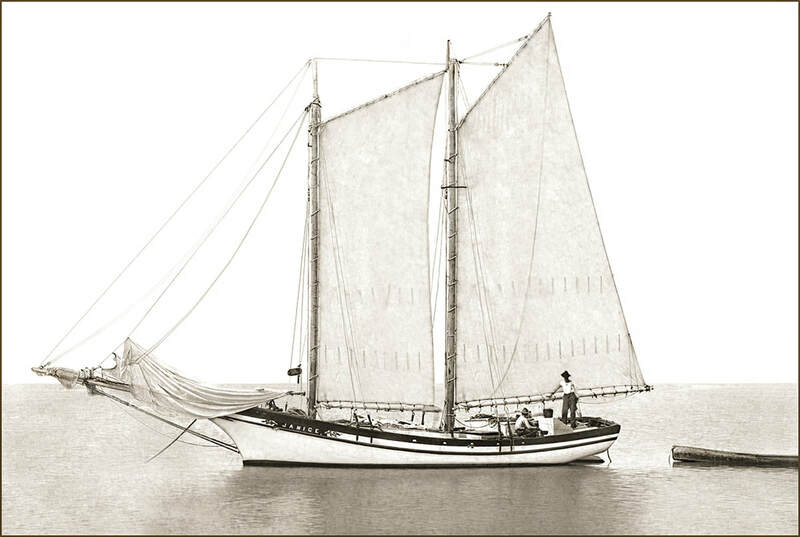 The schooner rig can be traced back to 1697 in English drawings where they were widely used with a variety of names. The term schooner refers to the rigging and not the hull form or other characteristics that differ widely internationally; the gaff mainsail is the dominating feature. The basic two-masted schooner can be described as a purely fore and aft rig having a single headsail, gaff foresail with boom, and a gaff and boom mainsail and generally taller than the foresail. Other sails may be set such as jibs and topsails without altering the name of schooner. More masts may be added, and as many as six or seven were built in North America. Schooners were built for carrying cargo, fishing, small war ships, privateering, surveying, smuggling and slave trading. 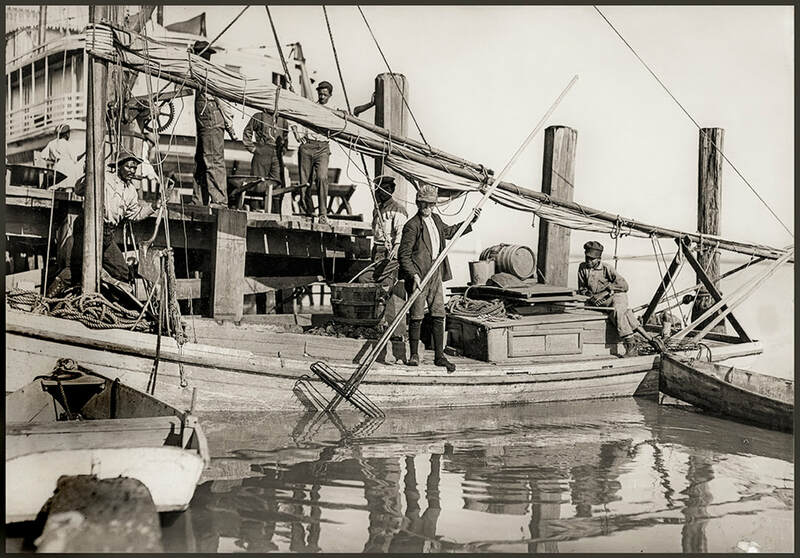 As interest in the seafood industry grew in the late 19th century, fishermen required boats larger than the catboat to haul in the bountiful catches. 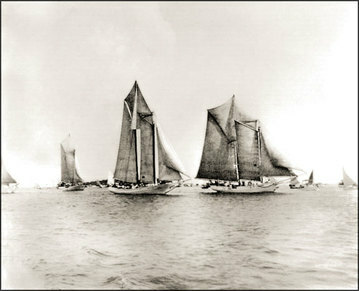 Schooners, a fast-sailing craft with at least two masts and sails set fore and aft, replaced catboats. 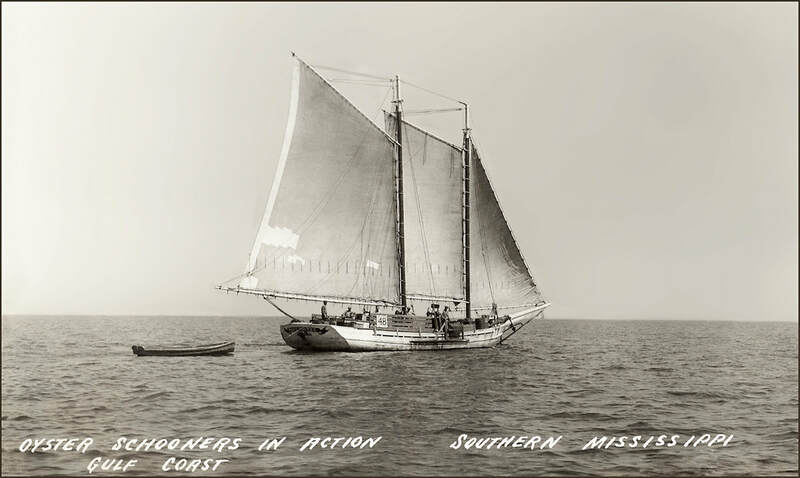 The coast schooners were inspired by those used in Baltimore for fishing enterprises carrying goods along sea trade routes, and the tradition of building them was deep in coastal naval enterprises. 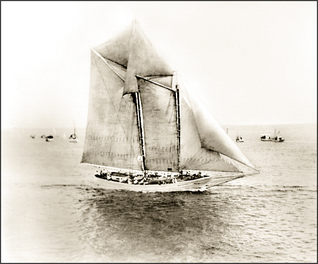 It was not until 1893 when a hurricane destroyed most of the schooner fleet on the Mississippi Gulf Coast that local boat builders designed a specific style of schooner that was best suited to the waters along the Mississippi coast, waterways that include bayous, oyster reefs, and shallow bays and lakes. The schooner was christened the Biloxi Schooner, a boat characterized by a broad beam, shallow draft, and increased sail power. The schooner was fifty to sixty feet long, although some were larger. Because of its shallow draft, the Biloxi Schooner could easily sail in and out of waters with little depth, and its size allowed larger crews to work on the decks. The sail power of the Biloxi Schooner enabled the ship to drag the oyster dredges and shrimp seines when they became laden with the bivalves and crustaceans. 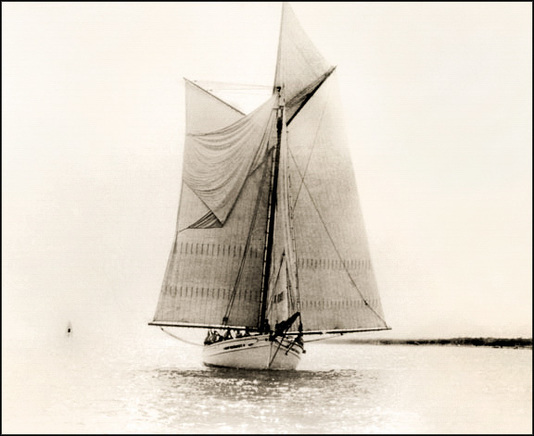 These working crafts were both durable and graceful when “under sail.” In fact, Biloxi Schooners were often referred to as “white-winged queens” as they glided gracefully over the waters in and around the Mississippi Sound with their foresail and mainsail swung out on either side. Apprentice carpenters learning the boatbuilding trade in 1893 could expect to earn 75 cents a day for fifteen hours of work as they worked to replace the lost schooner fleet. Shipbuilders harvested yellow pine from Ship Island, a barrier island approximately twelve miles out in the Gulf of Mexico. Sometimes live oak, another native tree, was used because of its strength. 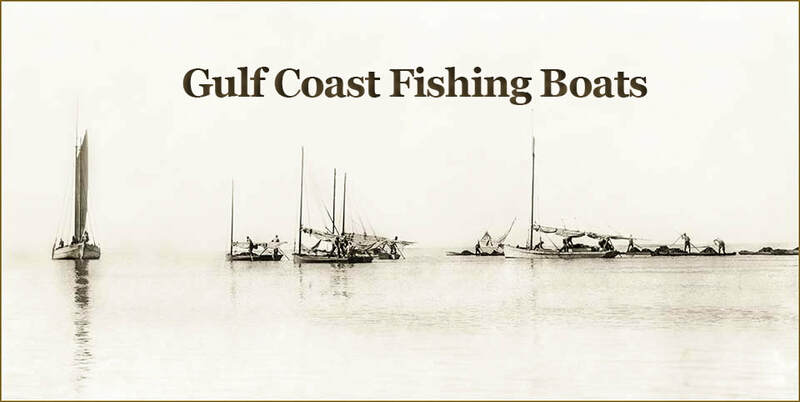 For example, the Gulfport Shipbuilding Company, also on Bayou Bernard, reported on March 4, 1920, that it purchased one piece of live oak, 18 feet by 18 inches, for $36.00. In the early 1900s, the average cost of a schooner was $2,200. Deanne Stephens Nuwer, Ph.D., is associate professor of history and director of the Hurricane Katrina Research Center at the University of Southern Mississippi. The Bay Scow Schooner was a flat-bottomed boat cheaply constructed with barge wood with a blunt bull nose bow . Two boys holding oyster rakes on the bow of a Bay Scow Schooner. Lewis Hine, 1911. Small fishing boats with a crew of one or two were the most common craft throughout the history of fishing, but their history is obscure by the lack of interest from contemporary historians, and local traditions of small boat building. 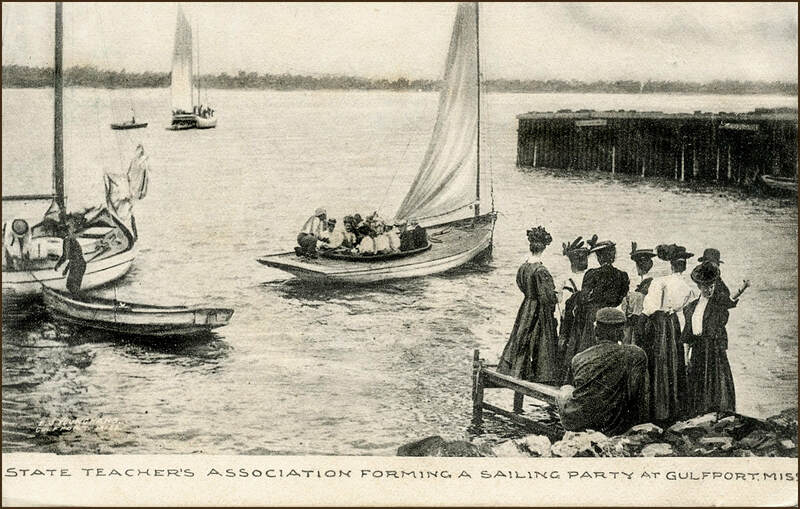 Historians typically classified boats by their sail design, that part of a boat easily observed form shore. Tradition dictated specific types and classes of small fishing boats based on low cost and maintenance, and home waters. But the boat builders were experienced fisherman aware of tradition, but who improvised freely with hull design and rigging. 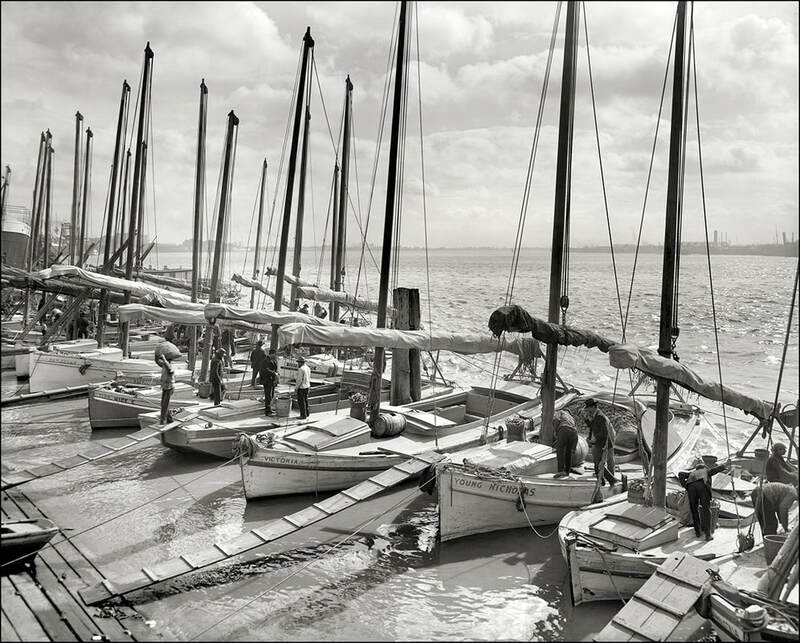 The Lugger and Catboat was small enough to be beached for off loading their cargo, but special harbor facilities were later built to accommodate their shallow draft. A great deal has been written about the origin of the catboat with most people giving credit to the New England ship builders for its development in America. According to Chapelle, "All of the rigs, except our extremely high, modern jib-headed rig, were in existence and were in use somewhere in the world at the earliest date of any extensive type-development in North America. This is true of the catboat." He also said, "The one essential factor in the design of boats proven by history is that they must fit the conditions where they are used and for what they are used." 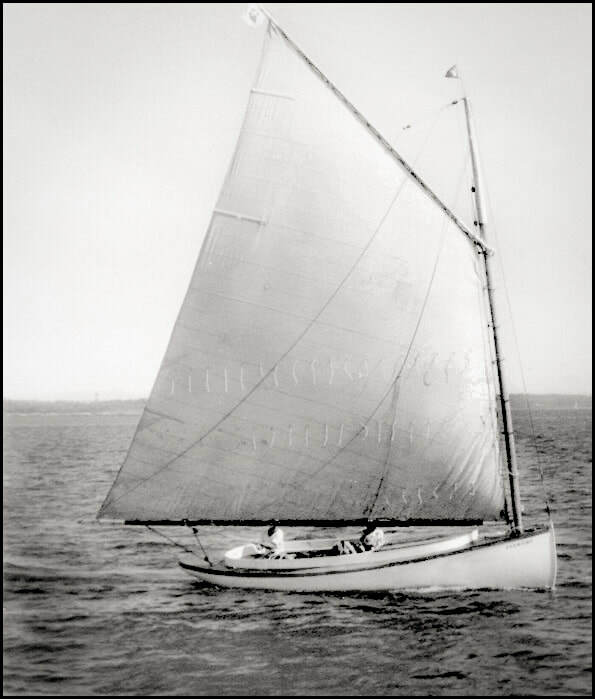 The development of the catboat, a specific class of small fishing boat in North America, began around 1840 with the demand for seafood for a growing nation that would be profitable for individual fishermen. During this time building records like half models and boat plans indicate the demand of the developing commercial fisheries required a small shallow draft boat with a centerboard, and a wide beam to carry as much sail as possible for their heavy load. The historical record indicate the evolution of a small workboat occurred up and down the East Coast and the Gulf of Mexico at about the same time. Howard I. Chapelle was Senior Historian Emeritus of the Smithsonian Institution and widely known for his boat designs and books on small craft, ships and boatbuilding. A plain, stout, generous, powerful, simple, stable forgiving paragon of workboat, the American catboat is probably best known as a shallow draft, centerboard vessel between 12 and 40 feet overall, with a beam half as great as its waterline length. Its rig is a large single gaff sail set on a strong mast well up in the bow supported by a single forestay with a big barn-door rudder, as much as one sixth of the boat’s overall length. Originally designed for use as a commercial fishing vessel, the elements of its design were geared towards stability and seaworthiness. Postcard from E. J. Younghans collection.